Would You Like To Stay In These Two World's Oldest Hotels ? Staying at the hotel may seem just another part of travel but there are many historic hotels that can be a treat just like exploring places on the trip. So if you are on a trip to the best locales and finest hotels then you can add two famous hotels in the world which are among the world’s oldest hotels as well. So where are these hotels? The two world’s hotels are in the famous oriental nation- Japan. 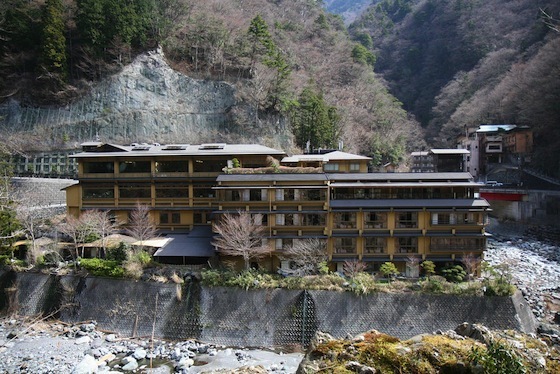 Land of the rising sun has the longest running hotels in the world. Read on to know about these two oldest hotels which are around 1300 years old. As per Guinness Book of world records, this oldest continuously operating hotel in the world. It was founded in the year 705. So it is over 1300 years old hotel. It is located in Yamanashi, Japan. The Descendants of Fujiwara Mahito have operated this hotel for past 52 generations. It was renovated last in the year 1997. There are only 37 rooms. The hotel is ancient but arrangements are made for modern travelers. 2. Hōshi Ryokan- Founded in the year 718. This is the second oldest hotel in the world. It is located in Awazu Onsen area of Komatsu, in Ishikawa Prefecture, Japan. It was founded in 718. Garyo Houshi built spa here and many people who suffer from sickness came here for the treatment. The Hoshi Ryokan is been operated by the same family for forty-six generations. Hoshi was last renovated in the year 1744. In the start, Garyo houshi welcomed people with full-hearted. The people started providing a donation for the services and the magical spa. As time passed the number of visitors increased and the income he used to gain from services were utilized to expand the services.